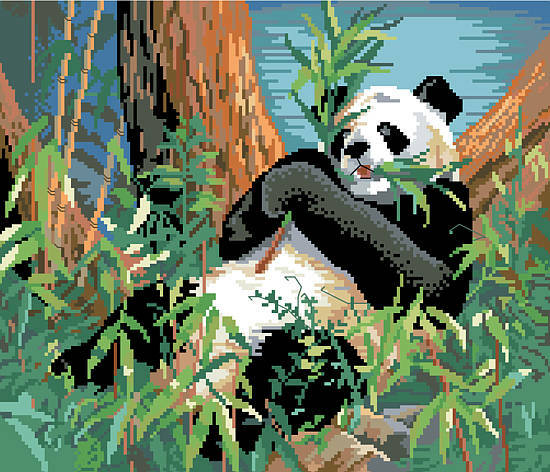 Add a pop of charming and cute style to your little one's room with this must-have panda cross stitch art. Showcasing a cuddly panda this design adds a welcoming touch to any empty wall. Try hanging it above your baby’s crib for an endearing focal point, and pair it with some of our other colorful pieces from the Kooler baby collection. Contents: Stitch count 168w X 144h on 14 ct, finished size 12" X 10-1/4"